The Piezon 150 combines power, precision, design and function in the smallest ultrasonic package available from Hu-Friedy. The Piezon 150 attaches to water system and has a unique external water filter and clear water line for biofilm detection. The LED handpiece ensures enhanced visibility while the fingertip control delivers 35 individual power increments for the exact power you want, when you want it. 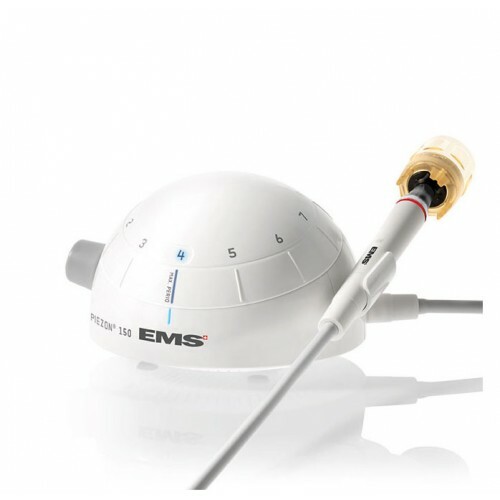 Click the button below to add the EMS Piezon 150 Ultrasonic Scaler to your wish list.